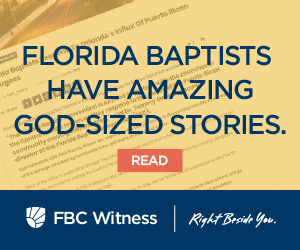 As the Florida Baptist Convention begins the Write Beside You initiative to help churches partner with local schools, one Florida Baptist church has already been making inroads with the schools in its community. First Baptist Church in Kissimmee has been serving the schools within walking distance of them for the last six years. This year they launched ‘Serve the City: School Edition’ to take their service to the next level. Tim Wilder, senior pastor of FBC Kissimmee, said it all started when an area school called them asking for help. The school said they needed mentors so the church started sending people to speak into the lives of students. Wilder said once other schools found out, they started asking for help as well. Today they partner with six schools within walking distance of the church. Wilder said it’s not about going into the schools to preach Christ but about going in to be Christ. FBC Kissimmee has been serving area schools this week as part of their Serve the City: School Edition. 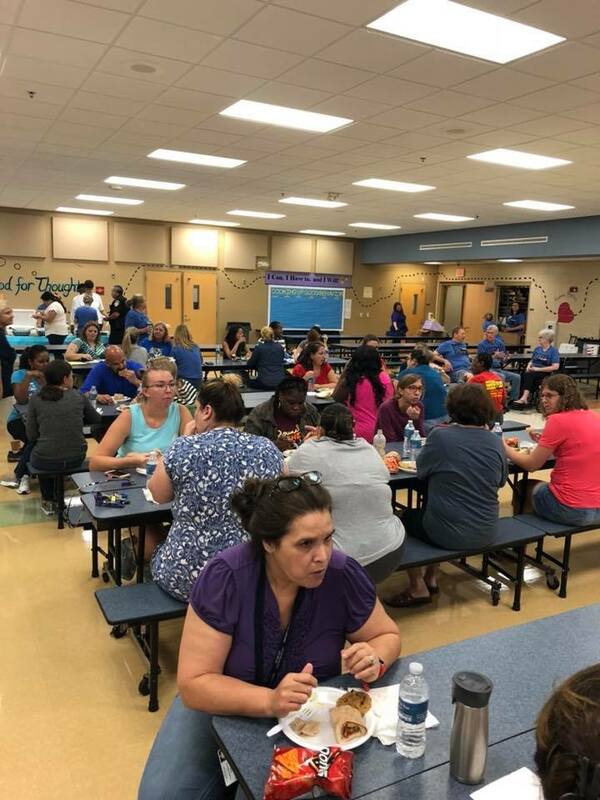 This week FBC Kissimmee has focused on one school each day, with the goal of impacting 700 teachers and 7,000 students by the end of the week. 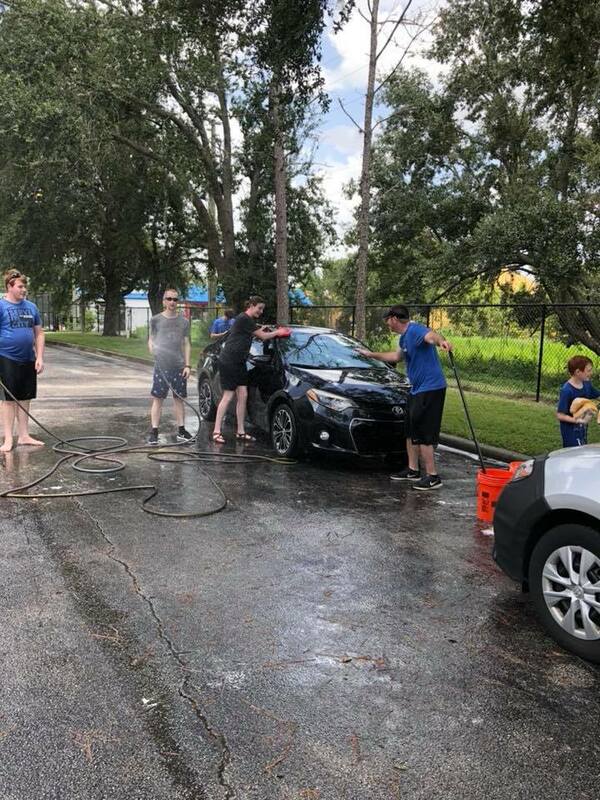 They have been providing lunches for teachers, washing their cars, cleaning classrooms, laying down much and pressure washing as the staff gets ready to greet kids for the first day of school next week. Wilder said the situation in Osceola county is desperate, estimating that between 4,000 – 5,000 school children are homeless. In the wake of last year’s hurricane season, there are hundreds of new children in the school district in need of help. By being known for stability and consistency in the community, FBC Kissimmee has positioned itself to be a resource for children and families. This year FBC Kissimmee will start a bible club on the campus of one of the elementary schools it serves. Wilder hopes they will impact between 90-100 elementary students each week. He said while they don’t always get to experience the results of the seeds they plant in the lives of students, faculty and staff, their consistency through the years has been the key to their influence. Are you interested in finding out more about how to impact the schools in your community or about the Florida Baptist Convention’s Write Beside You initiative? Click here for more information or email Billy Young, FBC’s Next Gen catalyst for more information.